The Board of Directors of Empty Bowls Monongalia cordially invites you to a Spring Gala, an evening of fine wines; a marvelous buffet dinner with tempting desserts; jazz music provided by the Jared Sims Trio and Jenny Wilson; and silent and live auctions offering a variety of unique items. The annual event is scheduled for June 2, 2018 beginning at 6:00 p.m. at Benton Grove Bed & Banquets. 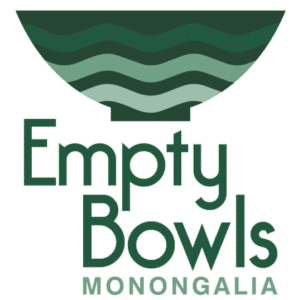 The mission of Empty Bowls is: through education and continued involvement, Empty Bowls Monongalia provides resources and assistance to Monongalia County agencies supporting individuals and families threatened by food insecurity. Their goal is to raise as much money as possible to feed the hungry in Monongalia County. Funds raised by the Spring Gala will provide support to 22 agencies serving a food insecure population of over 16,000 residents in Monongalia County, including 2,600. These agencies provide hot meals to our hungry friends and neighbors, nutritious groceries to our food pantries, and food-filled weekend backpacks to school children.